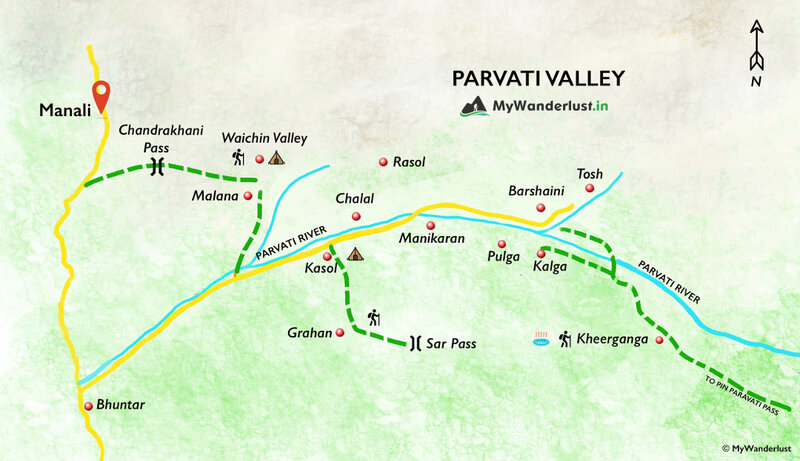 Parvati valley is known for holding a treasury of spellbinding places. Where there are various mainstream places we know about, there are several offbeat places too which are present silently in their glory. One such place is the ancient solitary village of Malana. Located at a height of 2,652mts on a narrow plateau to the north-east of Kullu valley, it is a village unique in its own ways correctly standing the fact of being “a village of Taboos”. Still unaffected by the present day modernization, the village is mostly known for its stoner’s culture. With the shadows of the peaks of Chanderkhani and Deo Tibba and Malana Nullah flowing through it, Malana is well-known for its unique age-old traditions and lifestyle. The village which grows the world’s best Hashish is the famous secret about this place. Malana most prominent for producing Malana Cream, a unique strain of Cannabis Hashish, which has high oil content and an intensely fragrant aroma giving you a different and highest kind of the highs. Away from the city cultures this remote village with monotonous way of lifestyle holds one of the oldest standing Greek democracies of the world. People, having their own sets of beliefs, postulate themselves to be the descendants of Alexander. They believe that the mountains make its own sets of rules and refrain outsiders from using their local language Kanashi, their temples or sacred places as the outsiders are considered as Untouchables for them. Malana Fagli celebrated in the mid of February and Malana Shaun celebrated on 15th August gives true essence of the uniqueness in their cultures. So, all in all, this place got us hooked with its unique traditions and the art of producing world-class Hashish just by rubbing Cannabis leaves on the palms. So for all those travellers out there, if you have been here just go back again and for those who haven’t been to this majestic land comm’n this is the time not just to travel but to explore and unravel it.